When visiting Tokyo, you might feel conflicted by the ancient and futuristic aspects of the city existing side-by-side. The solution, of course, is to devote ample time to both! 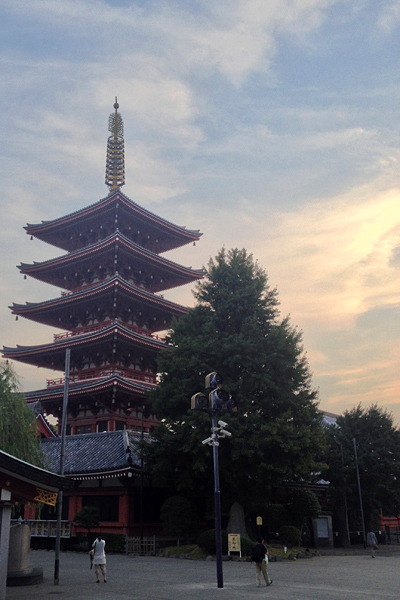 The Senso-ji temple complex in the Asakusa District is the best example of ancient Japan within Tokyo’s limits, and it’s worth exploring the area for a few hours. The Buddhist complex’s first building was constructed in the 7th century, and subsequent buildings were constructed up through the beginning of the 20th century. The dozen or so halls, pagodas, and shrines are dedicated to different Buddhist and Shinto deities and luminaries, each fascinating and intricate in their own right. 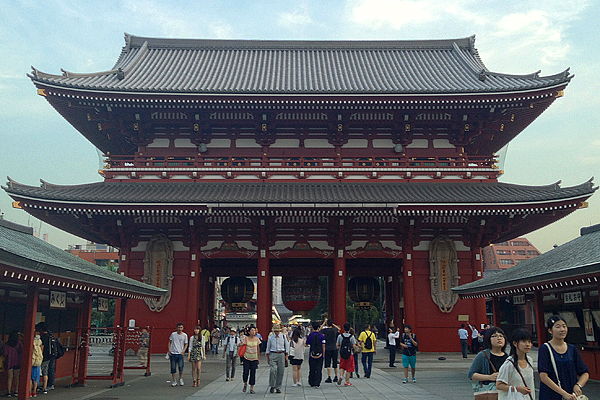 As the oldest temple complex in Tokyo, Senso-ji is a major tourist draw, attracting around 30 million visitors each year. Be prepared to have some company, but since the complex is so large, it shouldn’t be overwhelmingly crowded—as long as it’s not a national holiday. Nakamise, the street leading up to the main gate to Senso-ji, is also well worth a visit. First established in the seventeenth century, Nakamise is still lined with dozens of tiny shops. From sweets to clothes to toys, the shops have just about any traditional souvenir a visitor could want. After you’ve soaked in Tokyo’s history, find your way to the metro, head south to the Yurikamome New Transit line, and go all the way to Odaiba. Originally begun back in the seventeenth century, Odaiba is a large manmade island that today boasts its own train line, multiple theme parks, shopping malls, hotels, and plenty of odd attractions (Statue of Liberty replica, anyone?). Several tech showrooms are also located on the island and open to the public, so be sure to visit if you’re interested in the newest television, camera, or massage chair technology. Miraikan, the National Museum of Science and Emerging Innovation, is also located on Odaiba. Filled with interactive exhibits, demonstrations, a theater, and even Asimo, a working robot, the museum is a fun stop for future-minded kids and adults. 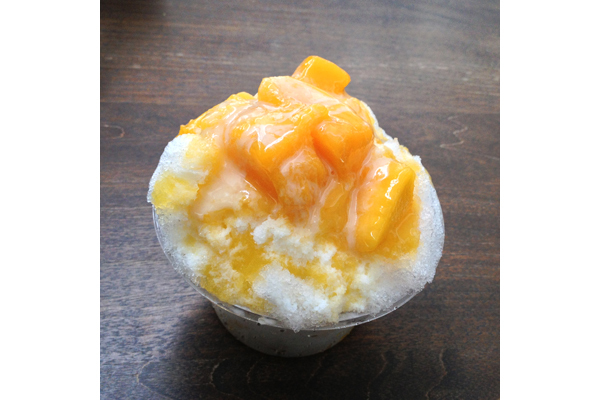 Visit Miraikan’s café for a delicious and refreshing spin on shave ice, ubiquitous around Japan during the hot summers. 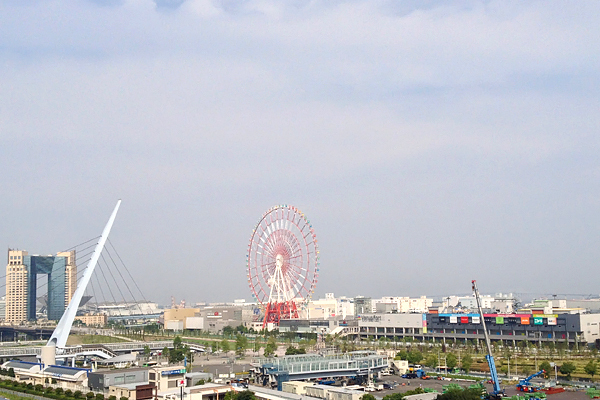 And be sure to enjoy the stunning views of Odaiba and Tokyo as you ride the Yuriamome line back to the mainland! Where? Miraikan is located on Odaiba: 2-3-6 Aomi, Koto-ku, Tokyo (+81-3-3570-9151). Senso-ji is located in the Asakusa District: 2-3-1 Asakusa, Taito, Tokyo.